Where better to start our massive list of new products added to Interactive Garage™ this month than the hottest accessorized vehicle in the world. Over 110 new products have been added to the JLU. Addictive Desert Designs: Front Bumpers, Rear Bumpers, Rock Slider and NEW MaxRax Roof Rack. 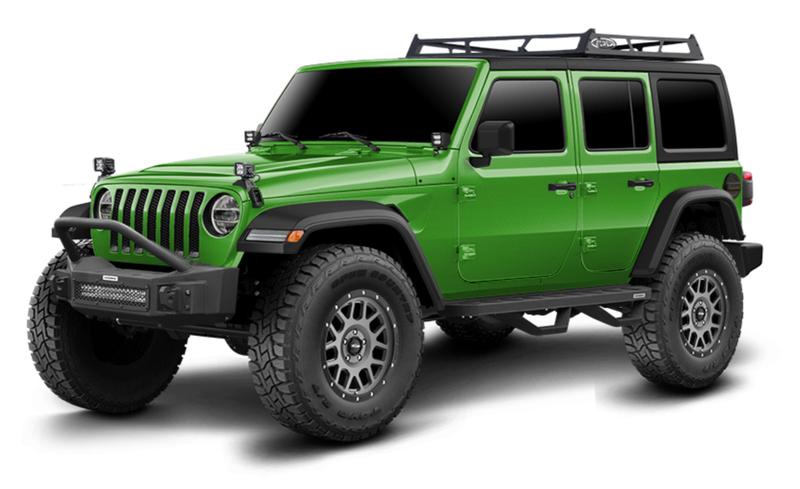 Go Rhino: Front Bumpers, Rear Bumper, Nerf Steps, Running Boards (largest collection of running boards for the JL available on the market) Lighting options, and a massive Cargo Rack offering. Rough Country: Front Bumpers, Lift Kits, Nerf Steps, Windshield Lighting, Tire Relocation Bracket, Steering Stabilizers, and Adjustable Track Bar. Skyjacker: Four 2″ lift kit options, two 4″ lift kit options, and six steering damper options. 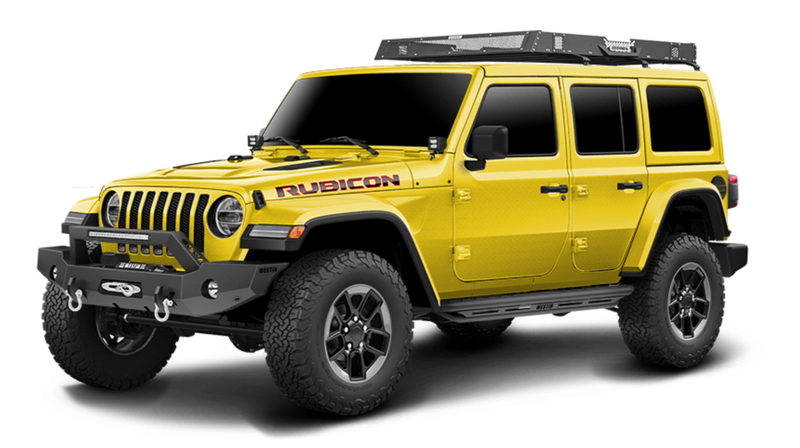 Rubicon Express: Two new lift kits. Once again when you, our licensees talk…we listen. With so many wheels in the aftermarket to choose from on all of our vehicles making them easy to view was not an easy task without clicking each and everyone. With a lot of hard work from our programmer, we think our new wheel thumbnail preview will make searching and buying wheels for your customers a much better overall user experience. Not available for all wheels currently, but like we always say, “stay tuned, progress and updates are coming monthly”. 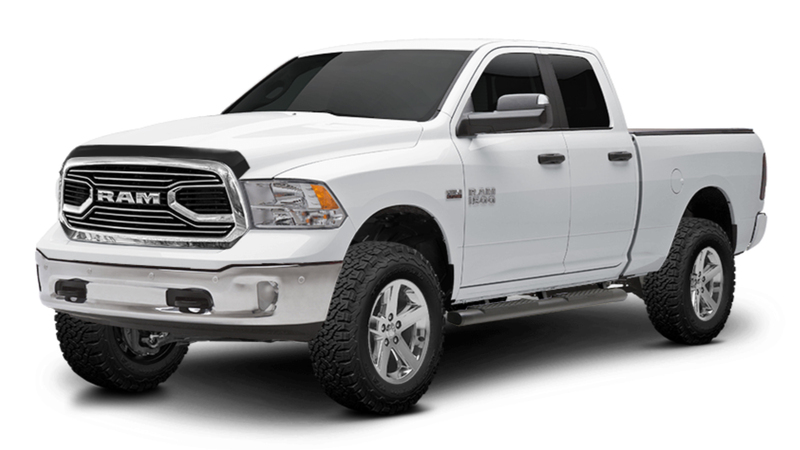 For all of our Jeep – RAM – Dodge dealers running Interactive Garage™, you’ll be happy to hear that our RAM 1500 has 17 new Mopar accessories added to the RAM 1500. Bed protection, bed extenders, replacement grilles, grill inserts, hood protection, lift kits, side steps and tonneau covers. 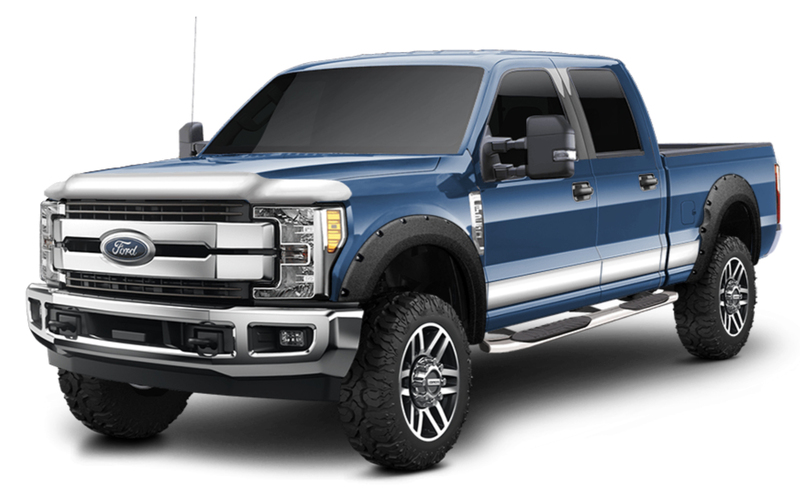 Again, for our growing number of OE Dealerships running Interactive Garage™ software, we have expanded our OE accessory product offering for the Ford trucks. 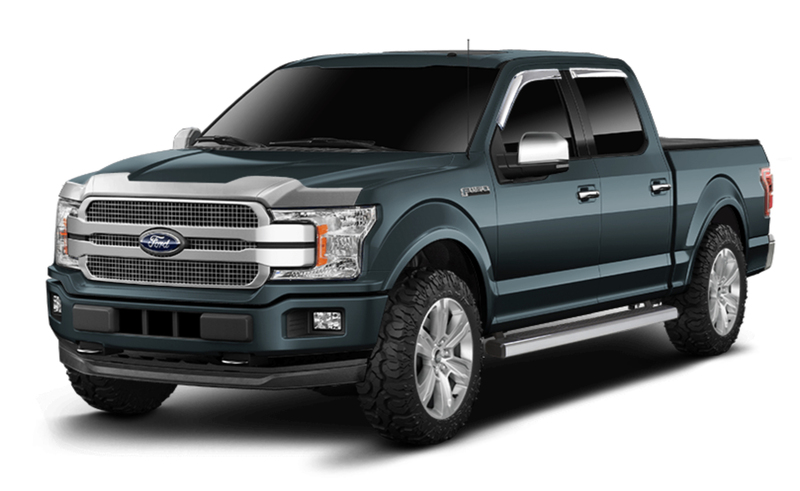 Fender Flares, Hood Protection, Rocker Panel Trim, Running Boards, Tonneau Covers, and Side Window Deflectors have been added to the 2018-Current Ford F150’s as well as the 2017-Current Ford Superduty. On top of the thumbnail preview additional feature, our team has been cranking out wheels on all the vehicles day in and day out. Pro Comp Wheels, LRG Wheels, Fuel Wheels and Method Wheels all have new offerings, sizes and images. Over 500 new accessories have been added to a variety of vehicles throughout your Interactive Garage software program. Readylift: New Suspension systems on EVERY vehicle. Go Rhino: Running Boards, Nerf Steps, and Cargo Racks on the Jeep Wrangler JK Unlimited. Running Boards, Nerf Steps and Bull Bars on the 2018 Ford F150. Our email cart option is available for all of our licensees to enable. It is a great way to see the “Dream Machines” your customers are configuring as they email themselves their finished build. It also is a great way to communicate back with them as they have to enter a legit email address to get the actual email. The image below is from a long term Interactive Garage™ customer who we always point others to as their email body text they put together did a great job engaging their interested clients. Go to this link from DIXIE 4Wheel Drive, build up a vehicle and send it to yourself. If this is something that you would like enabled on your Interactive Garage™ program, please fill out the document that can be downloaded by clicking HERE. Any questions, please click HERE to email Ryan for assistance.